Here we’re going to suggest which lens can fit your Nikon D7200 camera without any discomfort because sometimes it’s too hard to choose the right lens for your DSLR. In maximum cases, it’s seen that without any right suggestions or advises people splurged their valuable cash on choosing an inaccurate lens and later they trouble themselves. Before we begin we must tell you the all the portrait lenses below are of FX format (Fullframe sensor) and will work effortlessly in your Nikon D7200 camera. 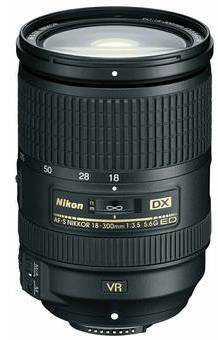 Nikon only may one portrait Lens for DX format camera and it is 35mm F1.8 DX Lens, the lens covers a wide area and not recommended for portrait shooting. The maximum aperture of f/1.4 can comfortably take shots in the low light situations with impressive shallow depth of field focus control. You don’t have to worry about the distortion of the images. You also have manual control options that make smooth adjustments, even at a time of Live View shooting. The impossible lens that can give you a awesome result while exposing at a indoor and lowlight situations. An amazing Bokeh with magnificent picture quality. 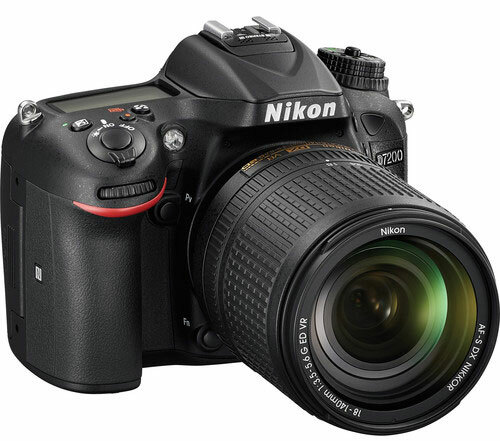 The most affordable portrait lens available for Nikon D7200 camera. This lens has been a great invention for the AF lens technology. 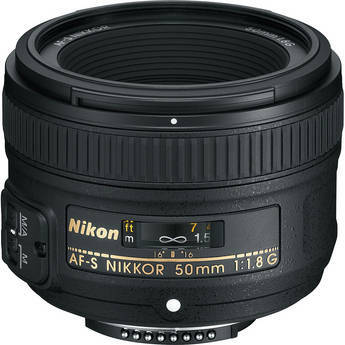 The Nikon’s Silent Wave Motor utilized by this lens to get all the operations like smoothing precise and silent of AF. Beautifully minimising the flare and ghosting. This Fast f/1.8 Compact FX-Format Prime Lens is brave and perfect perfect in low lighting situations and great for shallow depth of the field control and the blurry background that form will be outstanding. 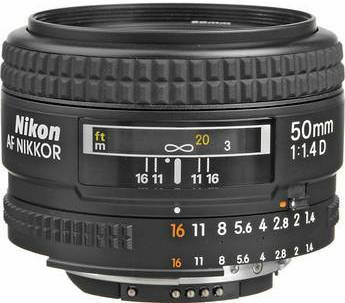 A great lens for indoor and lowlight situations and satisfying Bokeh will be formed. This lens is also compatible with DX cameras and when used with a DX camera. This lens is a good choice for shallow depth of field control and the f/1.4 maximum aperture, can make instant and accurate shooting possible at lowlight. 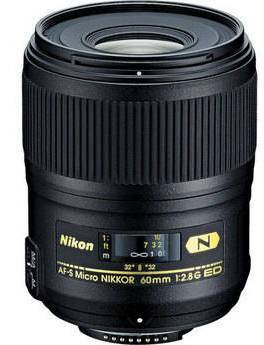 This lens could be the best possible lens for the Nikon DX-format DSLR. The fast and convenient focusing is like a child’s play means easily done with SWM (Silent Wave Motor). Bokeh form will so creamy that can enough to please your eyes. Always protest against chromatic aberration. Super Integrated Coating provides solid color performance with reducing ghosting and flare but this lens has a chance of Vignetting while used at at large apertures on full-frame cameras. Photography in a full frame camera and portrait work in APS-C is a good recommended to this lens. This lens can be surrendered during shooting of the fast moving subjects where AF won’t be a good worth to be quick as it needs. You can never be bored with this lens cause the number of time you wanna take shots that often it will deliver impossible quality of images. You don’t have to argue about chromatic aberration and vignetting as it produces very low of them. Your mouth can’t stop saying wow! to the bokeh formed by this lens and also hold out against the flare. The Silent Wave Motor provides fast and quiet autofocus. The wide open would be soft if you use this lens especially on DX format cameras . Sometimes ,the AF is not so consistent. This lens will never suit for the FX photographers means this lens is not for general purposes. Recommended for all the photographers who like to shoot at lowlight. 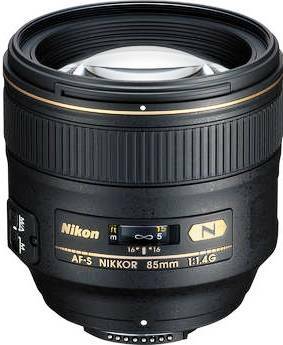 I personally use AF-S Nikkor 85mm f/1.4G telephoto prime lens while shooting portrait with my Nikon D7200 camera, the lens is costly but will give you best result and silky creamy bokeh. A short telephoto prime lens specially designed for FX-format DSLR cameras it provides you desired and intended focal length that’ll help you to get rid of distortion and also offers you distant result in all the applications of telephoto with beautiful background blur in the images. Nano Crystal Coat and Super Integrated Coating defending the lens from ghosting and flare. Fast, accurate and quiet autofocus can possible through SWM. Rounded 9-blade diaphragm will help this lens to produce attractive Bokeh. This lens is also ideal for video recording. Standard Zoom Lenses for Nikon D7200 DSLR. The lens is bit affordable and made for DX format camera, so it’s recommended for your Nikon D7200 DSLR. The lens that is not only compact but also lightweight, fully-featured zoom lens that covers a wide 5.3x focal zoom range that can effortlessly magnify the desired subjects. A lens is good recommendation for a wide range of shooting situations. The Silent Wave Motor featured in this lens showing the necessity of presence by smoothing and making fast and quiet to the actions. The rounded 7-blade diaphragm opening makes out-of-focus will give you the natural look. 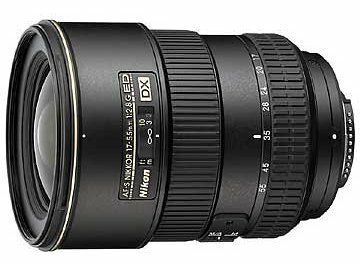 The NIKKOR 17-55mm F2.8 DX format lens is one of the best lens I have ever used, the lens gives constant aperture and super sharp images… Highly recommended for your Nikon D7200 DSLR. 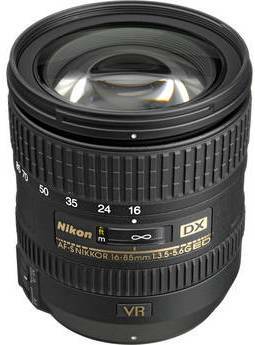 The AF-S DX Zoom-NIKKOR 17-55mm f/2.8G IF-ED Lens is a wide angle range especially been made to use with DX format Nikon DSLR cameras. The employed Three ED (Extra-low Dispersion) glass elements minimize chromatic aberration, provide higher resolution and superior contrast and the three aspherical lens elements brutally minimize distortion to attain superior optical performance. The Silent Wave Motor for smooth AF with breathtaking accuracy and silent operation. The rounded 9-blade diaphragm makes out-of-focus elements appear gentle look. 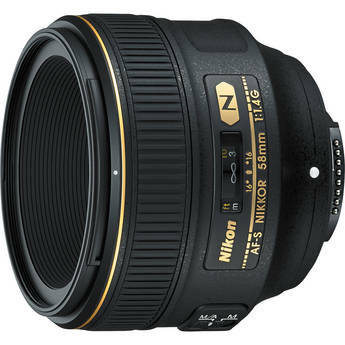 The Nikon 10-24mm f/3.5-4.5G ED lens is the best lens for wide angle photography. Highly recommended for your Nikon D7200 DSLR. 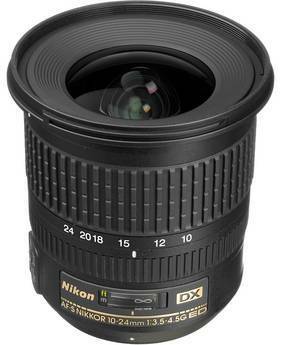 The wide-angle zoom lens designed for the DX (APS-C) format sensor for many Nikon DSLRs The 10-24mm f/3.5-4.5G ED assembled with Silent Wave Motor AF System ensures you to provide fast, accurate and near-silent AF action. The design of the Internal Focus (IF) allows faster, smoother autofocusing and help in knocking out changes in lens barrel length for constant control. Two Extra-low Dispersion Glass Elements within the lens to provide you a solid sharpness and help you in color correction by bravely minimizing the chromatic Aberration. All the three Aspherical lens gently eliminate the coma and other types of lens aberration. Nikon Super Integrated Coating (SIC) is a way to transmit light efficiency with reducing flare problem. The NIKKOR 200mm F2 lens is one of the best sports lenses available for your DSLR.. it features blazing fast AF and super sharp images, highly recommended if you are sports shooter. An ultra fast telephoto lens having all the capabilities of capturing the true and powerful images from any corner of the nature. 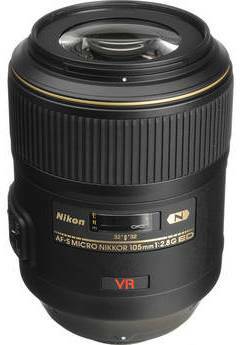 The presence of Nikon VR II image stabilization and Nano Crystal Coat deliver you the sharper images in the conditions like indoor sports, wildlife or portraiture. A protection from dust and water is possible from magnesium die-cast barrel construction and a protective meniscus front lens. The planting of the Super ED glass element has an excellent work in eliminating secondary spectrum and correcting chromatic aberration. There’s all the possibility of getting fast, accurate and silent AF operation through Exclusive Nikon Silent Wave Motor (SWM). 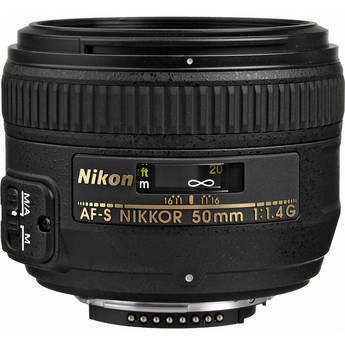 You can easily handle this lens even if you don’t have enough knowledge about optics because the presence of 3 Extra-Low Dispersion (ED) Elements and Rounded 9-Blade Diaphragm faithfully provide you superior sharpness and color correction by effectively minimizing chromatic aberration and mature looks to the Bokeh. Furthermore, the working of Nano Crystal Coat gently reduces the chance of ghosting and flare and provide you a superb wide range to get the great clarity. The lens is also designed with Nikon Super Integrated Coating (SIC) that Enhances light transmission efficiency and offers superior color consistency. 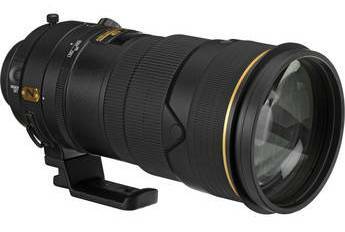 NIKKOR 300mm F2.8 features VR II image stabilization and the VR II is so effective that it allows you do hand-held shooting with the 300mm Lens, highly recommend for Sports and wildlife photographer. A Fast-Aperture f/2.8 NIKKOR Super Telephoto lens for Wide aperture, professional telephoto performance, optimized for razor sharpness for both FX and DX-format Nikon DSLRs and a perfectionist for action and sports photojournalism, wildlife photography and many more. The lens built with VR II (Vibration Reduction) Image Stabilization to acquire handheld shooting at up to 3 shutter speeds slower than would otherwise be possible which makes certain you to provide sharper still images and video capture. The planting of Nikon Silent Wave Motor (SWM) promises you to deliver fast, accurate and quiet auto focusing and the Three Extra-Low Dispersion (ED) Elements Offers superior sharpness and color correction and frequently minimize the chromatic aberration, even at wide apertures. The other tools are: Nikon Super Integrated Coating (SIC), Nano Crystal Coating, Three Focus Modes, AF Memory Recall (instant return to a predetermined point of focus). The Rounded 9-Blade Diaphragm give you the more natural look of the out of focus highlights. We have selected this lens in top of Telephoto Zoom lens due to its range coverage, it is one of the best lens for your DSLR when you are travelling and unable to carry bunch of lenses. The powerful part of this lens is Zoom capability and can be used for all purpose zoom. This lens has a zoom range of 18-300mm. However, this lens is utilizing a Silent Wave Motor helps in getting smooth, silent and precise autofocus operation in every cases. The Vibration Reduction II image stabilization improvise the image stability and allow you not to get the blurry images by controlling over the camera shake. Just rotate the lens focus ring and M/A mode will allow you to seamlessly override the AF system with virtually no time lag, the utilizing of Utilizes 9 rounded diaphragm blades to provide you stunning out of focus highlights. The three extra-low dispersion (ED) glass elements will have a great help in minimizing the effects of chromatic aberrations and maintaining optimal sharpness and contrast of the lens. The incorporation of Three aspherical lens elements that awesomely reduce the coma and other aberrations as well as correct distortion and won’t affect the lens dimension. The Super Integrated Coating devotedly eliminates ghosting and reduces flaring. 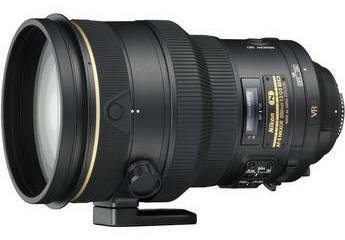 The NIKKOR 70-200mm lens is excellent performer, but also keep in mind that 70-200mm is a FX format lens and will act as 105-300mm lens in your DX format DSLR, we highly recommend you to buy this lens for your Nikon D7200 DSLR. Nikon VR II (Vibration Reduction) Image Stabilization- Enables handheld shooting at up to 3.5 shutter speeds that helps this camera to produce sharper images without getting blur. The 7 Extra-Low Dispersion (ED) Elements will have handsome work in color correction with minimizing the chromatic aberration, nano crystal coat Reduces ghosting and flare for even greater image clarity and the Nikon Super Integrated Coating (SIC) offers superior color consistency and reduced flare. The Nikon Silent Wave Motor (SWM) employed silent,fast and accurate AF. Rounded 9-Blade Diaphragm provides more natural appearance of out-of-focus image elements. This lens has an extra Flower-Shaped Lens Hood and Removable Tripod Foot that enables safe and stable mounting of tripod. I personally like the 60mm Nikkor micro lens since its produces teck sharp images even at wide aperture and also produces super creamy bokeh. The lens that has a macro capability with magnification ratio 1:1 and the Silent Wave Motor enables fast, precise and silent AF operation. Nothing to say about the Internal Focusing design that has been fixed into lens and which has a great help in maintaining the lens length on the other hand the extra dispersion glass element minimize the chromatic aberration within the whole zoom range and ensuring high resolution and contrast. The lens also packed with Super Integrated Coating delivers superior color performance, Nano Crystal Coating handsomely eliminates internal reflections and provide greater image clarity. 9-blade rounded diaphragm prove its benefits by giving a natural look to the out of focus highlights. The Telephoto prime lens will give you bot more range compared to the 60mm lens. The lens is built with an Extra-low Dispersion (ED) superbly minimize the chromatic aberration while Nano Crystal Coat is a classic features to reduce flare offer you to get more than ordinary images with fine details. Vibration Reduction image stabilization minimize the camera shake to provide you blur free images. Silent Wave Motor provides Silent Wave Motor, Internal Focusing (IF) design ensures you to provide smooth focusing. The rounded 9-blade diaphragm makes Bokeh to appear a natural look.